Below is a list of Frequently Asked Questions regarding our nation and tribe and exactly who we are. Question 1. Are you claiming that you are the Timucua tribe that is "extinct"? We are not an exact resurrection of the Timucua Nation of North Florida. That said however the Timucua were dispersed from their lands and many of their people joined other tribes or assimiliated into the invading culture in order to survive the European Invasion. In addition there are people in Cuba who claim to be descendants of the Timucua who left and went there in the 1760's when Spain lost Florida to Great Britain. Many of our current citizens claim an oral heritage back to the Timucua. In many of these families the story was passed down of belonging to the Timucua Nation but to not reveal that to anyone for fear of racist persecution or loss of family fortunes and land. Therefore although we are not an exact resurrection of the Timucua Nation, we honor the traditions that have been passed down orally to us through our citizen's families' oral traditions. In addition we honor the original Timucua by seeking to preserve their archeological and cultural remnants in our Traditional Lands. Question 2. Do you seek to forcefully gain independence from the U.S. or Florida or Georgia where you claim lands? 9th and 10th Amendments of the U.S. Constitution, through the recognition given to native peoples through treaties written throughout the history of the United States as well as before it came into existance, also through the United Nations Declaration of the Rights of Indigenous Peoples and through the United Nations Declaration of Human Rights as well as the Montevideo Convention on the Composition of Legal International States. IF VIOLENCE WAS TO HAVE WORKED THE ORIGINAL TIMUCUA WOULD HAVE MAINTAINED THEIR INDEPENDENCE. Question 3. Do you still consider yourselves U.S. Citizens? Some of our people are U.S. Citizens and hold Timucua Citizenship as well.. As such they are dual citizens exhibiting the best of personal freedom. Choosing to hold a citizenship that they feel best identifies them as well as holding the citizenship of their birth. That said some of our people may not be U.S. Citizens but citizens of Timucua and other countries as well. Question 4. Are you breaking any U.S. laws through your actions? Through the 9th and 10th Amendments of the U.S. Constitution we lay claim to our rights and sovereignty and there is nothing in the U.S. Constitution limiting our actions. We seek in no way to oppose the U.S. in its territory and seek in no way to overthrow either the U.S. or the states of Florida or Georgia. Our only hope is to establish an Independent Native American Nation and Country on our own land that lives peacefully as neighbors with the imposed powers much as the Choctaw, Iroquois, Seminoles, and other Native American tribes live as recognized independent countries. Question 5. Can the documents you issue be used to gain U.S. Citizenship? We in no way represent our documents to be valid for the U.S. They are valid only for the Native American Tribal Republic of Timucua. Should the U.S. , the State of Florida, State of Georgia, or any other State choose to accept our documents that would be their decision as a government to do so. Our documents are most likely to be viewed by the U.S. as a membership card much like a school ID card or employment or civic organization card is viewed. WE DO NOT SELL THESE WITH ANY INTENT OR DEMAND THAT THEY BE ACCEPTED FOR U.S., STATE OF FLORIDA, STATE OF GEORGIA, OR ANY OTHER STATE'S CITIZENSHIP PURPOSES. Question 6. Can one of your citizens gain entry for residence or visiting into the U.S. using your documents? Please read the above statement in Question 5. We represent our documents only as valid for the Native American Tribal Republic of Timucua. Should the U.S., the State of Florida, or State of Georgia or any other state within the federation of the United States accept our documents, they would do so within their own perogative and not through any demand that we make. Much of our traditional land is under the direct de facto control of the United States, the States of Florida and Georgia and as such they determine immigration laws for that territory. That said as long as one of our citizens wished to live on lands that we have direct control over we would not forbid them from doing so provided they gain permission from the owner of the property that we have direct control over. This in no way negates U.S. immigration law. Question 7. Are the passport booklets you may process in the future valid as international travel documents? Please read again our above statements. The passport booklets we may process in the future are valid only as documents identifying one of our citizens as a member of our tribal nation. We do not present them as fully valid travel documents for international travel purposes. Should a government other that the Native American Tribal Republic of Timucua choose to recognize them that would be within their perogative and not through any demand that we make upon them. That said our documents are valid to identify persons, to whom they are issued to, as citizens of the Native American Tribal Republic of Timucua and our ID cards have served to help our citizens in some interesting situations. One citizen of ours recently travelling in Bolivia is reported to have been held at gunpoint by armed revolutionaries taking over a tourist hotel. Upon questioning him if he was an American, he replied "No, yo soy ciudadano de la Americano Nativo Tribales Republica de Timucua." At this point he reportedly showed his Tribal Citizen ID Card and instead of being detained and shot full of lead by rifles and Kalishnikovs was treated as a fellow Native American and filled with good food and beer and allowed to continue the next day safely on his way. Question 8. What exactly do you claim the Native American Tribal Republic of Timucua to be? We claim to be an unrecognized tribe of Native Americans and a Native American cultural heritage group that is organized as a micronation. We are composed of some citizens who claim an oral tradition to the original Timucua of North Florida. We are also composed of others who claim Native American heritage through DNA evidence or oral tradition. 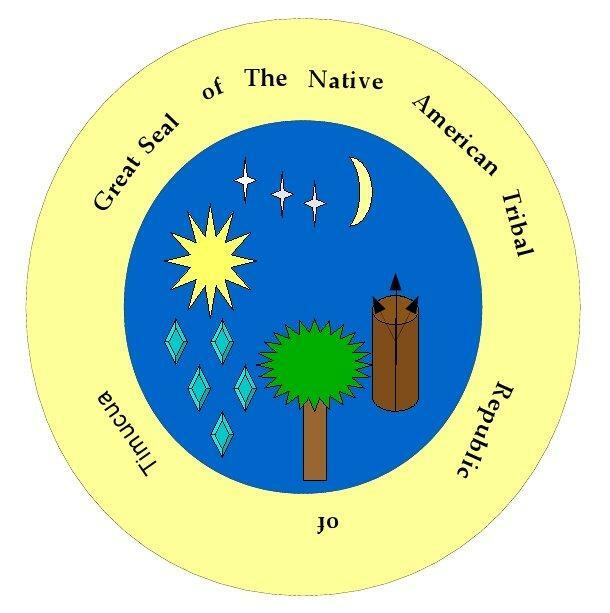 We also are composed of citizens who have no Native American heritage whatsoever but they are sympathetic to the issues facing Native American people and as such espouse the values our micronation represents. If you should find that your question is not sufficiently answered by our Frequently Asked Questions here feel free to contact our governmental offices through our e-mail at republicoftimucua@gmail.com. We look forward to answering your questions.